« Could an EcoBoost Shelby Mustang Be Coming? Makers being pressed for 25% cut in CO2, better mileage. 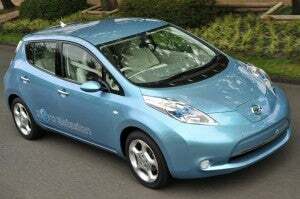 More vehicles like the Nissan Leaf battery car would be needed to meet Japanese government demands for new eco-cars. The new Japanese government is placing some serious pressure on the Japan’s auto industry by promising to cut CO2 emissions by 25 percent by 2020 from the levels that prevailed in 1990. The targets laid down by Japan’s new prime minister, Yukio Hatoyama, go well beyond anything contemplated by the previous government, according to Japanese experts on energy and environmental policy. Hatoyama’s goal will certainly require the broader use of eco-friendly cars such as hybrids, plug-in hybrids and electric vehicles, said Shin Hosaka, director of the automobile manufacturing industry bureau in the Ministry of Economy, Trade and Industry or METI, the successor to the Ministry international Trade and Industry, which helped orchestra the Japanese economic miracle in the years following World War II. Hosaka said the climate change issue is putting enormous pressure on not only Japanese carmakers but on carmakers worldwide, which are facing increasingly stiff regulations. At the same time, carmakers will have to improve the efficiency of gasoline engines. In his opinion, carmakers that can’t manage the transition will wind up in bankruptcy court, regardless of where they come from, he said. METI is now assembling a special committee on how to expedite the introduction of more eco-vehicles. The committee, which will include experts from industry, government and academia, is expected to have a report and possible policy recommendations ready by next April, Hosaka said. The breakthrough in battery technology that would ease the transition to electric vehicles still hasn’t materialized and an electric vehicle today still costs about 3 times that of a vehicle with an internal combustion engine. With EVs costing substantially more than comparable vehicles with internal combustion engines, subsidies will also be required, Hosaka said. But the Japanese will certainly look at ways to improve both chargers used by electric vehicles and the infrastructure that supports charging networks. 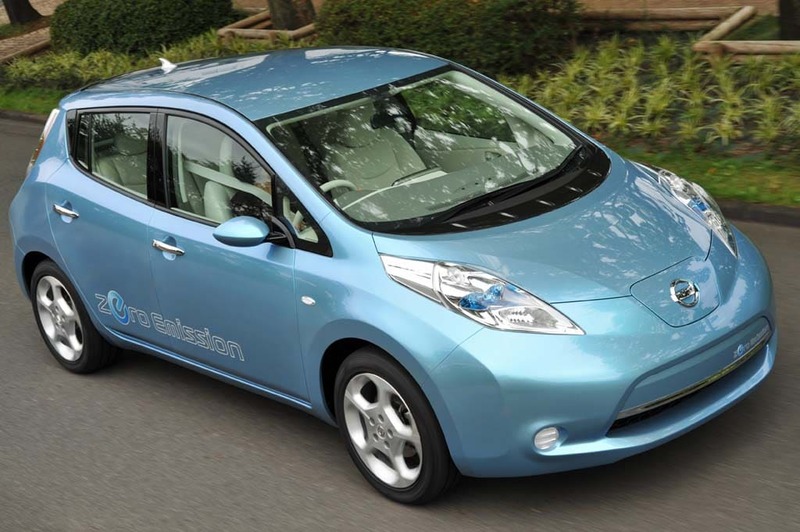 Reducing the time it takes to recharge a vehicle’s batteries makes EVs more user-friendly. Dr. Tsutomu Toichi, chief executive researcher for The Institute of Energy Economics, Japan, also said that regulations will ultimately be more important in minimizing energy consumption among consumers. The tougher regulations imposed after the Arab Oil embargo in 1973 provided Japan with more energy security, Toichi said. At the time of the oil embargo, 73 percent of Japan’s energy needs were met with imported oil. Japan still imports oil but that only represents about 40 percent of the energy used by Japanese society, most going for transportation fuels. Japan’s goal is to cut the use of oil to around 30 percent of the total amount of energy consumed. At the same time, the Japanese are also looking at ways to reduce use of coal, which also must be imported from abroad, Toichi said. The Japanese already have done a substantial amount of research into the potential impact of eco-friendly vehicles and now dismiss the notion that EVs simply transfer the pollution from the automobile to power plant. In fact, EVs will only emit about one fourth of the C02 on an IC engine even when the C02 from the power plant supplying electricity to the EVs in included in the mix. Akira Kojima, trustee and senior fellow at Japan Center for Economic Research, also said that the crisis of climate change and the need trim C02 emissions, not is a challenge but it is an opportunity for ambitious companies, he said. “The first oil embargo made Toyota and Honda,” he said. “The same thing could happen again,” he added.